Considering Magazine Ad Spending for the business? Magazine advertising is something that no mere technology can beat because people love to read and they sit about for far longer than newspapers do. The mere fact that magazines do not have any “expiry date” should be enough of a reason that business owners should keep using this one for advertisement. You can see it anywhere; in the doctor’s office, in the library, coffee table, and even in mini marts. So showing off a brand or even more is highly effective in this area. People tend to be interested especially on prints that peaks at their interest or celebrities hat are posting on the front page. Someone will always pick it up, read through the pages and eventually land on seeing an advertisement of a certain company or business. This is the reason why magazine ad is still used nowadays and for that, it has a good rate in the industry. Every now and then, a magazine will be passed on from one reader to the other which makes it a good form of exposure as an advert. As long as owners will pick up a good magazine company to print out an advertisement, then advertising will never be a problem a gain. There are however cons in using such. It needs constant change and deadlines are usually given a month prior to publishing the whole lot. Plus, those who have a poor advertisement even the good ones can be buried all the way to the last if not consistently checked out by the handlers. But there is better news about it aside from sacrifices that needs to be made. 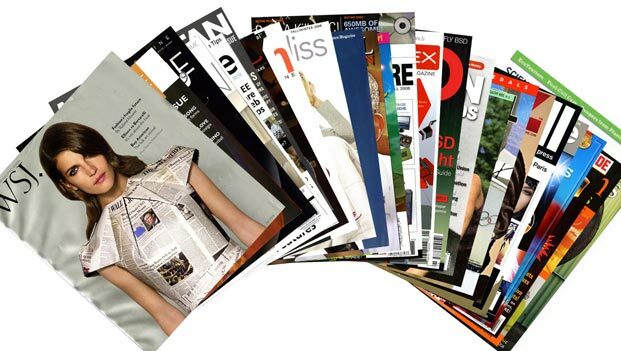 A current study shows that magazines can deliver the highest return in the spending. It has an average of $3 to $4 every dollar that is spending on advertising. Remember that this kind of method is both telling and selling; two of which is a major benefit to business owners. The study went to rigorous data analysis which they studied campaigns from 2004 to 2015 of 450 brands. They came to a conclusion after finding out the drastic change of magazine ad over the last 11 years. The brand, its equity, purchase frequency, sales, and the categories to which the ad is under were closely monitored, thus, arriving to the final conclusion – its spending is gradually developing. Never worry about who is best in handing out support for magazine ad, the best thing about this one is that advertisers can use such a technique for their profits.